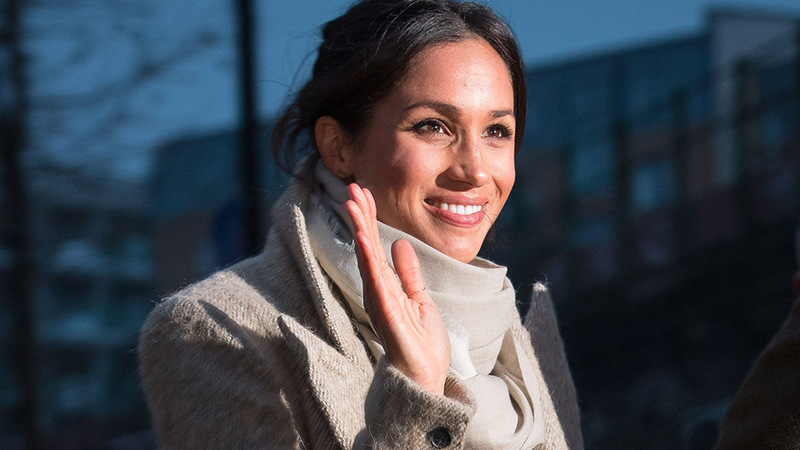 Princess Charlotte is just the latest in a long line of princes and princesses who have shouldered their backpacks and headed into the classroom. 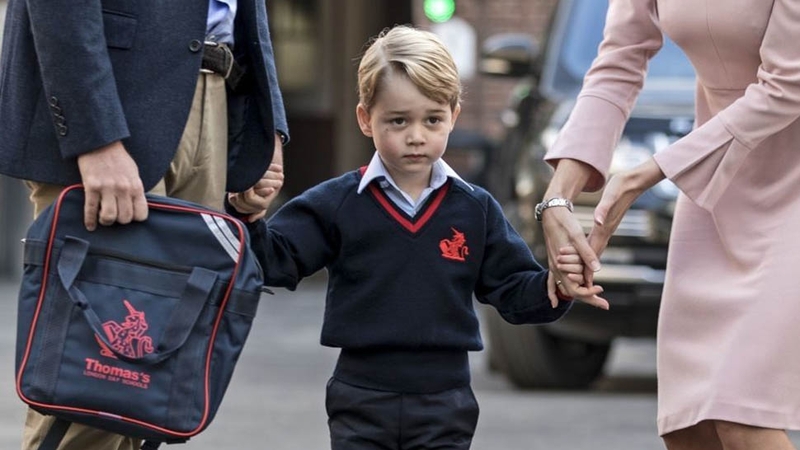 Even royals partake in this most beloved of pedestrian traditions: the first day of school. 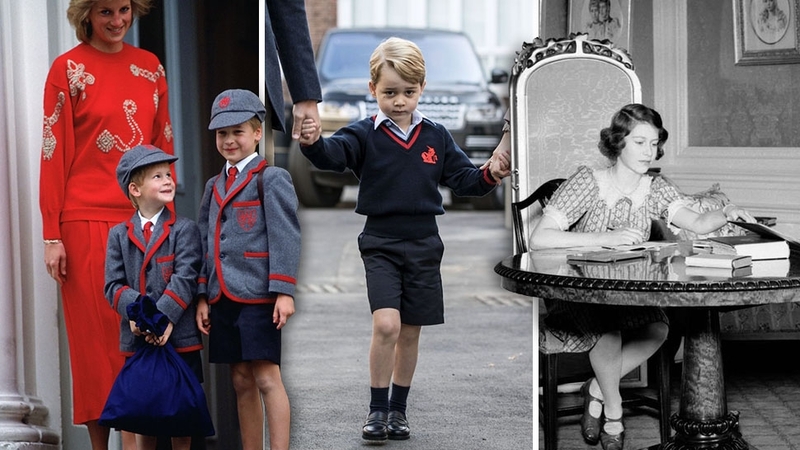 Inspired by Princess Charlotte's adorable pictures on her big day yesterday, we take a look back at our favorite royals on their first days. 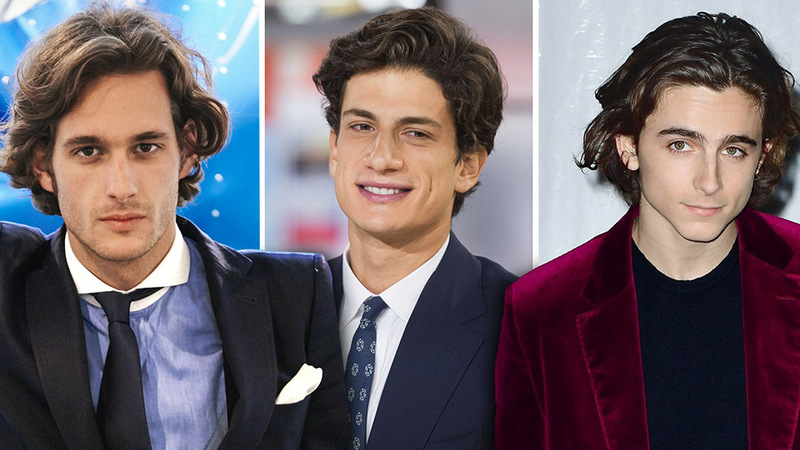 Many are even pictured later with their own children on their first days. Turns out even monarchs do the school run. 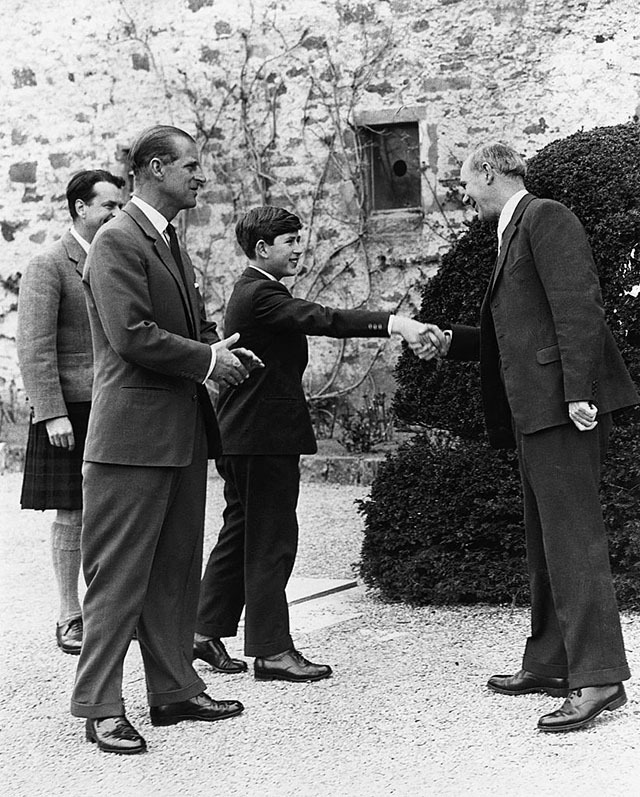 The Duke of Edinburgh joined Prince Charles as he greets the headmaster on his first day at Gordonstoun School. 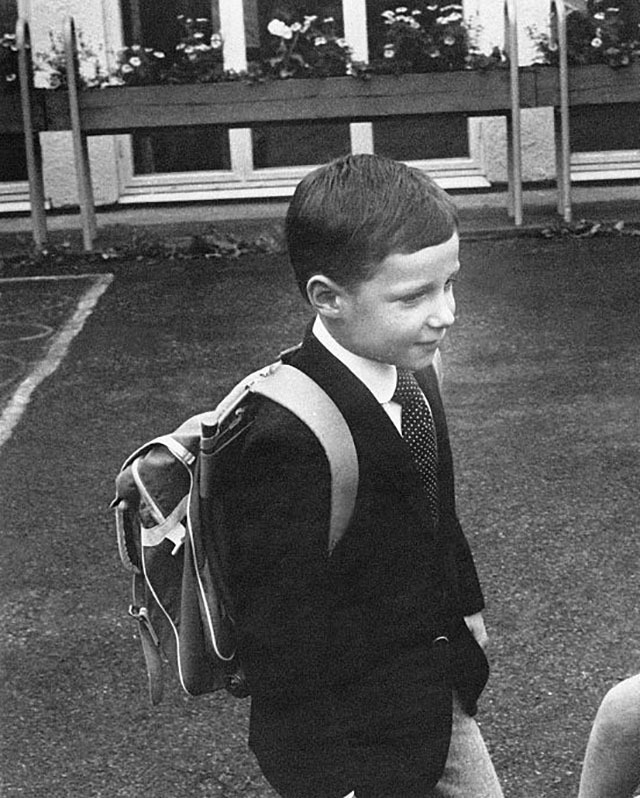 Crown Prince Haakon of Norway attends his first day of school in Oslo, Norway. 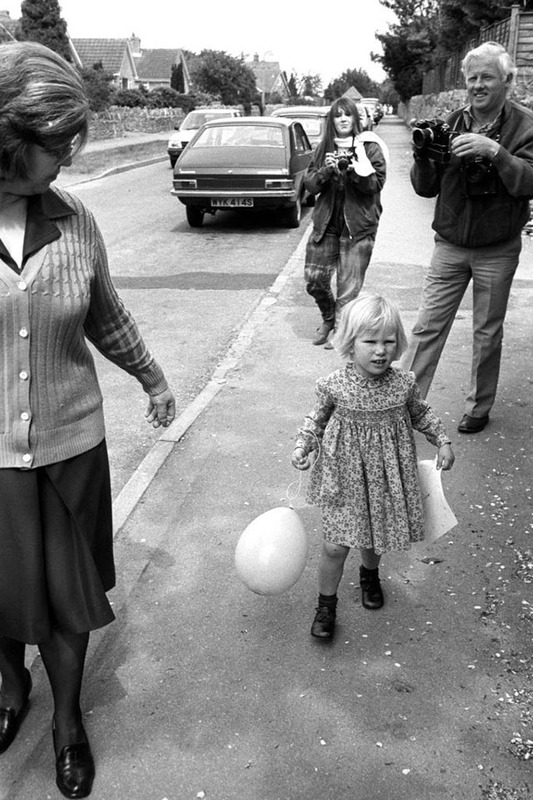 Zara Phillips (now Tindall), daughter of Princess Anne, is pictured here leaving her nursery school in Minchinhampton, Gloucestershire on her 3rd birthday. 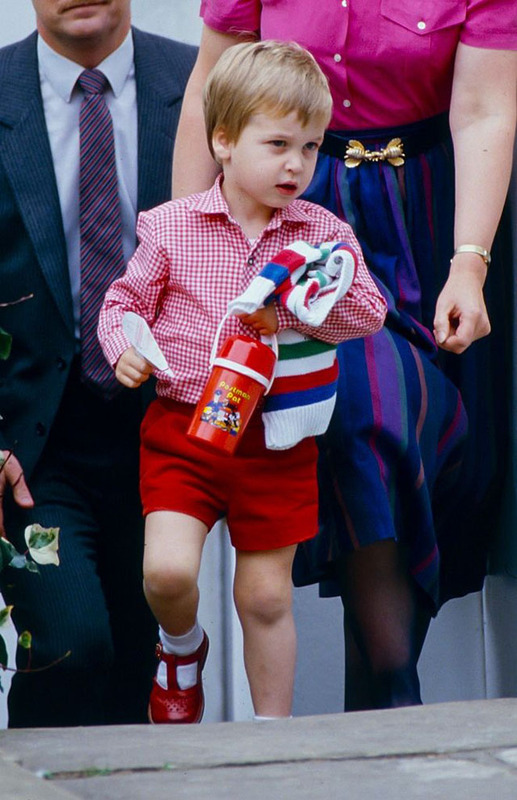 Prince William's first day of nursery school in Notting Hill seems to have gone well, and the little prince left happily in a red ensemble complete with a matching canteen. 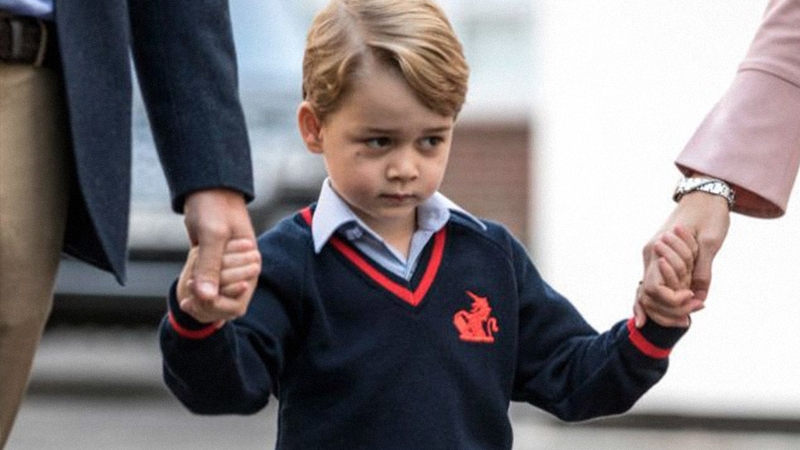 Prince William poses outside the Wetherby School on his first day, providing incontrovertible proof that nobody does school uniforms like the English. 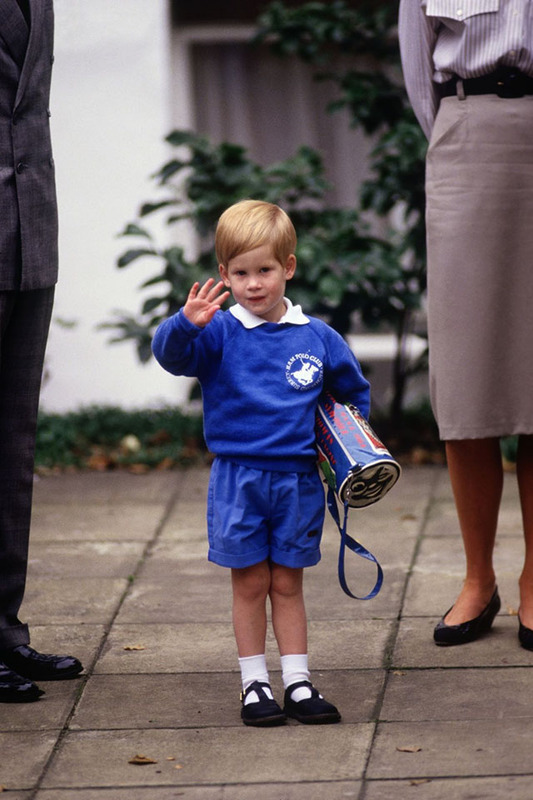 Prince Harry waved to photographers as he arrived for his first day at Mrs. Mynors's Nursery School in London. 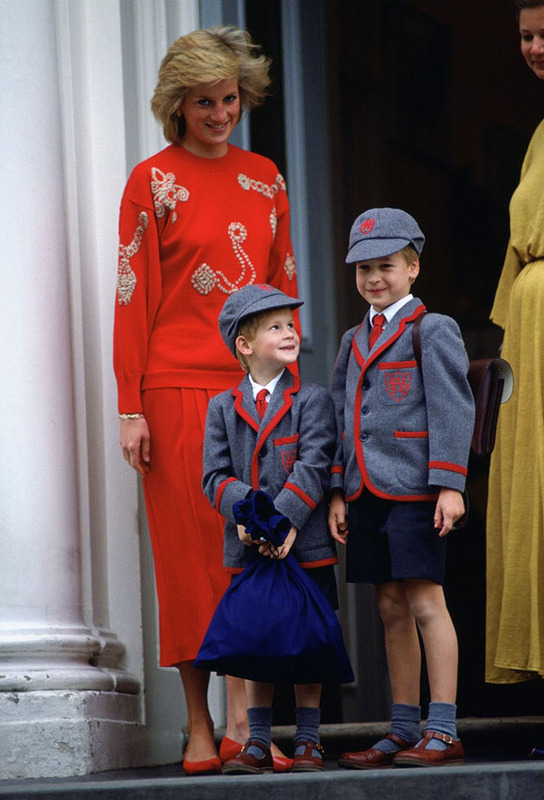 Princess Diana accompanies her sons William and Harry to their first day at Wetherby School on September 12, 1989 in London, England. Princess Beatrice, who is Prince Andrew's oldest daughter, attends her first day of school in an adorable tunic and matching cap. Princess Beatrice is accompanied by her sister, Princess Eugenie, for their first day at Upton House School In Windsor. 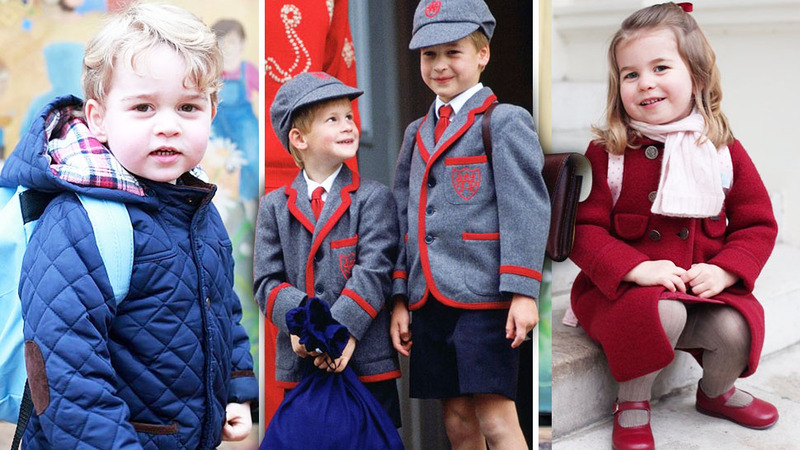 The royals mark Prince William's first day at Eton College with a family photo. 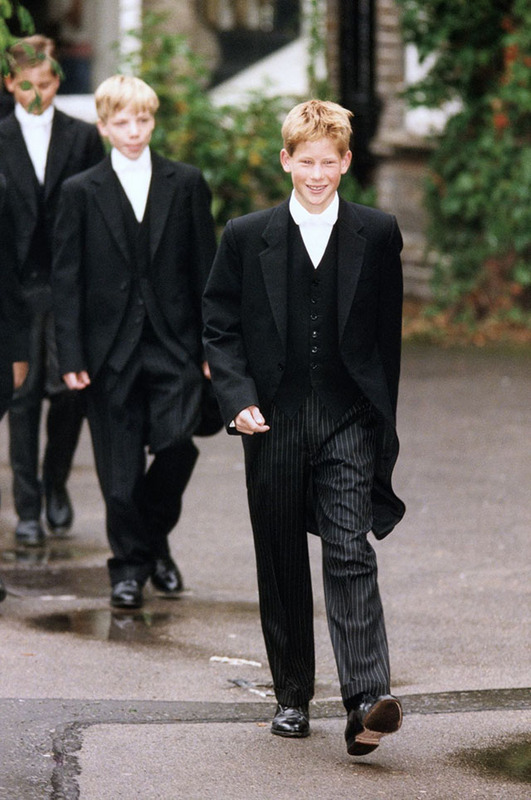 Prince Harry is all smiles for his first day at Eton College. 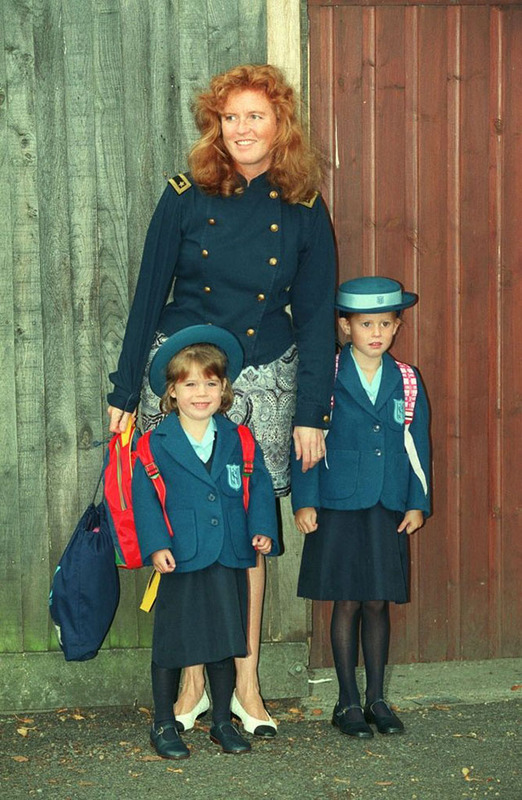 Princess Beatrice poses with her parents on her first day at St. George’s School in Ascot, England. 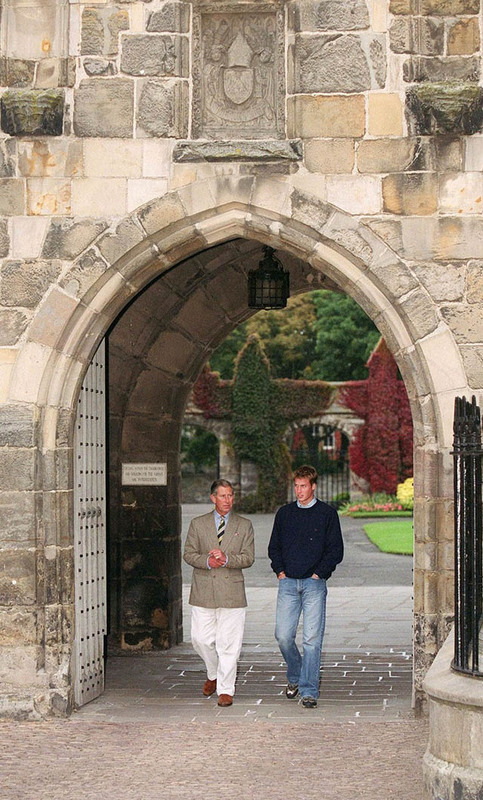 Prince Charles and Prince William walk around campus on William's first day at St. Andrews University. 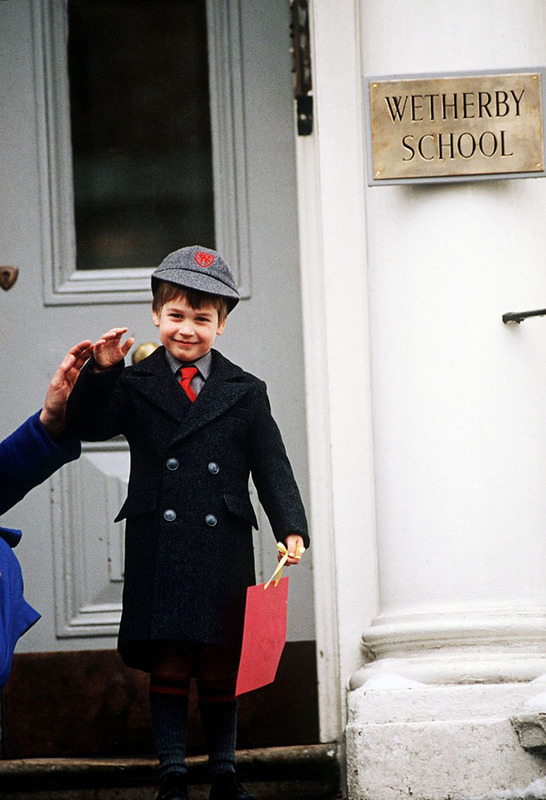 Eleven-year-old Princess Eugenie smiles with her parents on her first day at St. George's School, Windsor. Crown Prince Haakon and Princess Mette-Marit bring their daughter, Ingrid Alexandra, to her first day of preschool in Asker, near Oslo. She carries her very own lunchbox. Princess Leonor of Spain attends her first day accompanied by her mother, Princess Letizia and her father, Prince Felipe (not pictured), at Santa Maria de los Rosales School in Aravaca, near Madrid, Spain. The following year, Princess Leonor's sister, Princess Sofia, attends her first day of school at El Pardo Infants School in Madrid, Spain. Princess Victoria of Sweden and Prince Daniel, Duke of Vastergotland, walk an exuberant Princess Estelle to her first day at pre-school in Stockholm, Sweden. 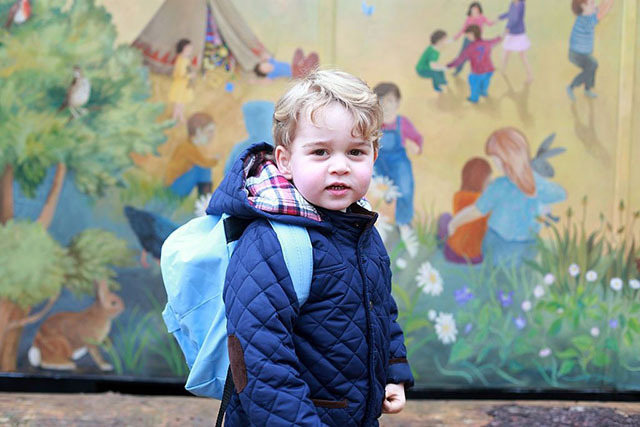 Prince George poses on his first day of nursery school in this sweet shot taken by the Duchess of Cambridge. 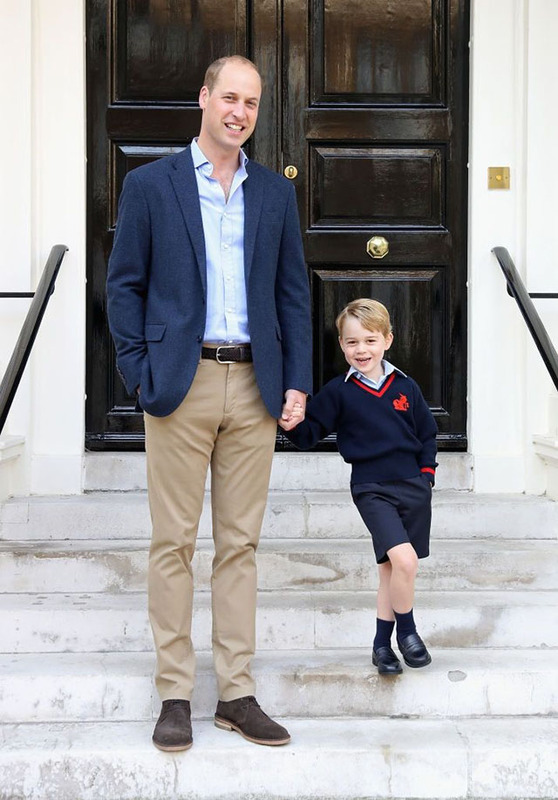 The Royals released this photo of Prince William hand-in-hand with his son George on his first day of school at Thomas's Battersea in London. 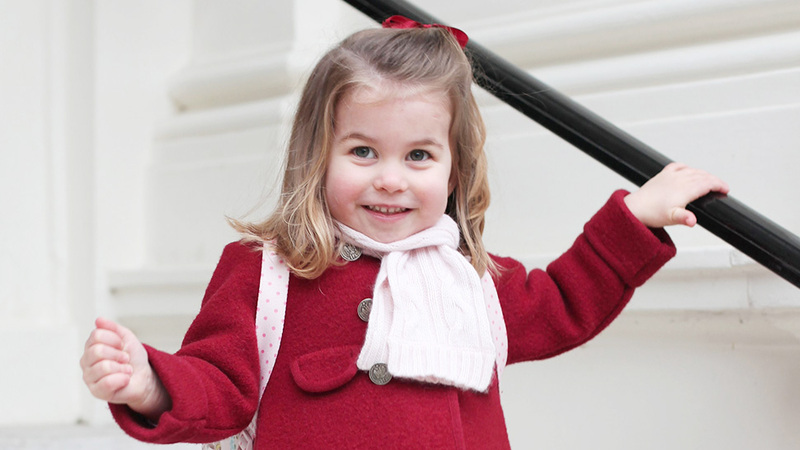 Princess Charlotte beams in an adorable red ensemble (reminiscent of her father's look at his first day of school in 1989!) 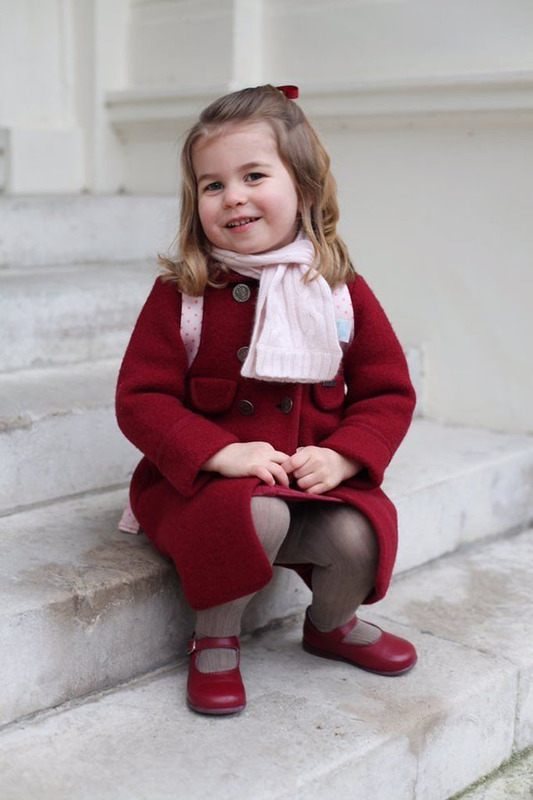 as she prepares for day one at Willocks Nursery School in London.